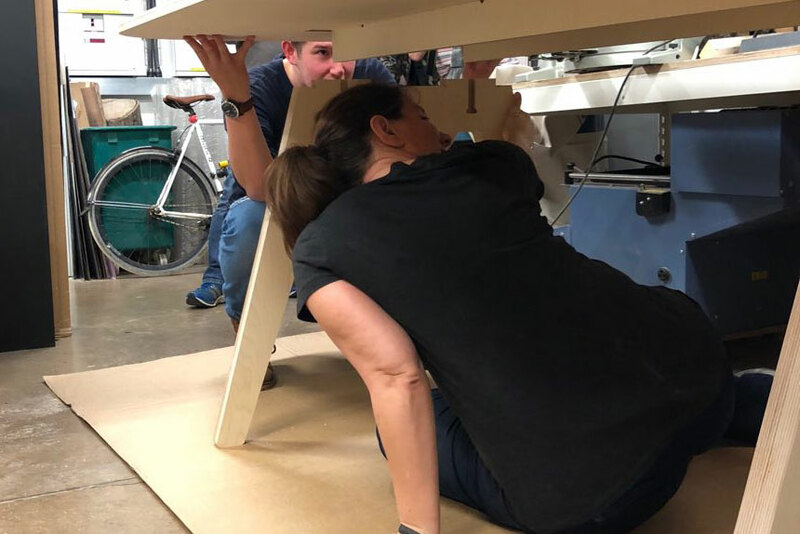 This design day at the Fablab gives you full and unlimited access to the Fablab's facilities and gives you a chance to design and make all in the space of a day. Aimed at groups of 3 or more, we help you realise your teams ideas and produce something of your choosing. No prior experience of making or even designing is required, all we need is your ideas! 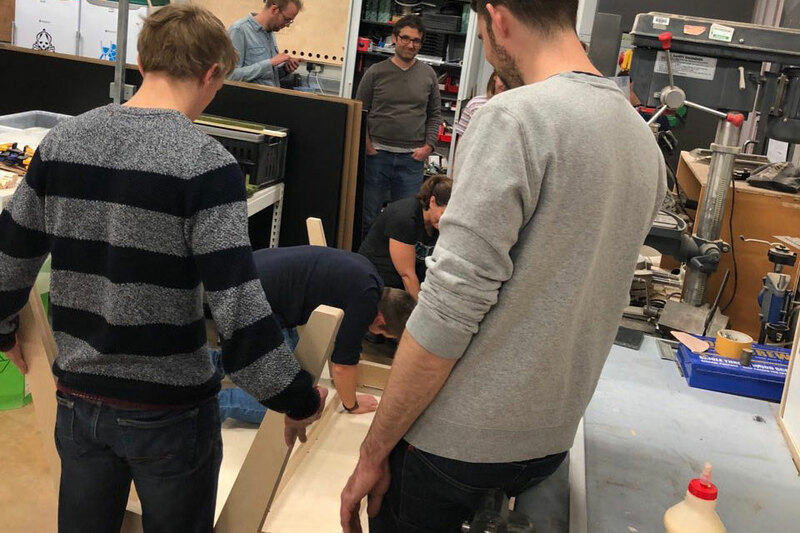 Not only is this a great way of team building, but it also gives you a chance for you to experience how the design process works alongside manufacture, seeing an idea through from concept to completion. 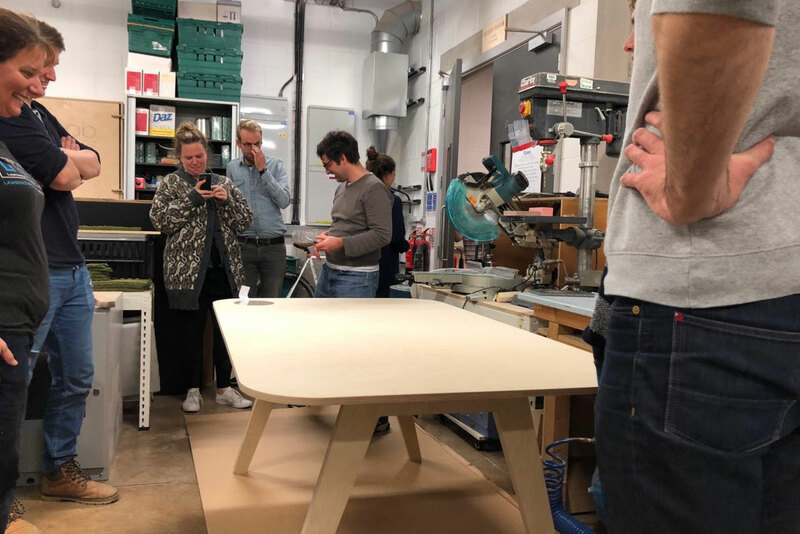 On the day, we will have a team of two to help and guide you through the process of design and manufacture, but the rest is up to you. We suggest you and you team come up with a few ideas of what you would like to make prior to the day. Be this table or chairs, lighting or noticeboards we can try and accommodate you to the best of our ability and fit as much as we can into the day! The ideas team size is 5 or 6, but we can cater for up to 10 people on this day. It includes a lunch voucher and gives you exclusive hands on experience with our machines. Get in touch to book now or if you have any questions don't hesitate to ring!